Our 4K IP Camera series is growing; we now have the N-Range 2 Megapixel and N-Range 8 Megapixel motorized lens infrared IP bullet cameras. 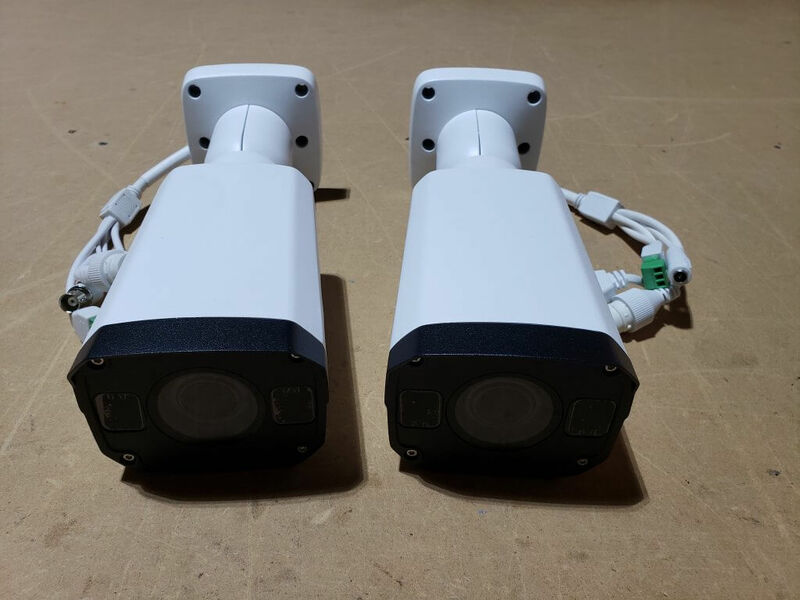 Both of these cameras have the unique feature of power, video, and audio over standard Cat5e or Cat6 up to 800ft plus (when connected to any EnviroCams NVRs or Switches). Both N-Range network cameras are great for indoors and outdoors with an IP67 weatherproof rating (-40 below to +140 above F) for the harshest outdoor locations. They are also IK10 impact rated as well, that represents more than 20 joules of impacts. This is akin to dropping a sledgehammer weighing more than 11 pounds, from a height of about 16 inches, straight onto this camera with no damage at all. One thing that is different on these cameras is the resolution. The N-Range 4K is an 8 Megapixel with the resolution of 3840×2160 max. The N-Range is a 2 Megapixel with the resolution of 1920×1080 max. Check out the lenses on these cameras; they are a motorized varifocal lens, that is a 2.8mm – 12mm zoom lens giving you a 90-degree wide picture when zoomed out, then zooms all the way into a 28-degree wide picture. This makes it extremely easy and fast to fine-tune your scene, no matter where you mount this camera. Both of these cameras come with a hidden feature, there a Micro SD card slot, you can purchase a Micro SD Card (pre-formatted for use in the camera) and can be used as a stand-alone recording or as a fail-over if POE power is cut. When POE is restored, the card will automatically download all the recording to the NVR. These IP Bullet Cameras have a lot more features, and to learn more, you can stop by our website or call one of our Sales Engineers at EnviroCams toll-free at 866-264-0041. This entry was posted in Blog, IP Camera System and tagged IP Bullet Camera.